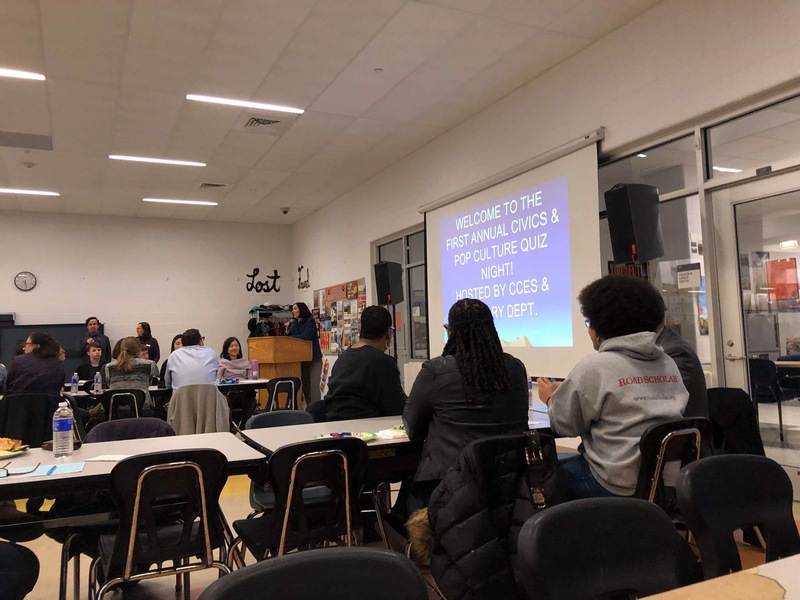 Students and faculty attended a Trivia Night on March 7 to raise money for the Center for Civic Engagement and Service(CCES) and the Ty Vignone Student Travel Scholarship. The first ever CCES Trivia Night, which was open to teachers, students, and parents, included trivia questions that covered categories such as current events, music, books and characters, and others. The team “Oh, the Humanities!”, which was composed of English teachers Michelle Leone, Charlene Beh, Emily Lew, Kate Mannelly, and history teacher Greg Drake, won the event. 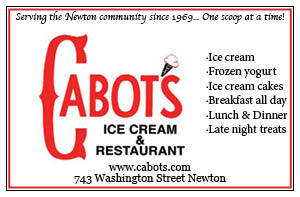 The winning team members received gift cards. Mayor Ruthanne Fuller opened the event by explaining the importance of the money it was raising. She added that she hopes students will strive to become civically engaged in their communities. “I don’t know who it’s going to be, but one of you is going to be one of the answers up there one day,” Fuller said. Many teachers promoted the event in their classes, some of them offering extra credit to students who attended. “My friend’s teacher encouraged her to go, so my friends decided to make a team,” senior Shaelyn Fitzgerald stated. Other students attended the event to spend time with their friends. “I decided to go because I thought it would be fun for my friends and me to compete in a fun game of Trivia,” said freshman Joseph Murphy. According to Wu and Yoffie, they plan to host Trivia Night again next year and make it an annual event.